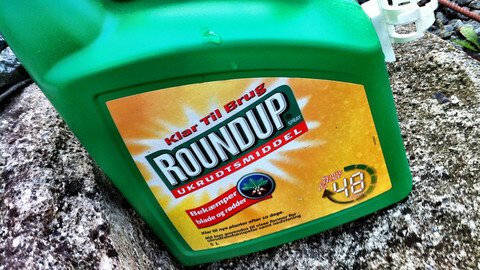 A ban on the herbicide glyphosate, sold commercially by Monsanto as Roundup - along with more transparent scientific evaluations of pesticides and a overall reduction in their use - should be an EU priority, citizens said on Monday (20 November) at the European Parliament. The petition was part of a initiative signed by over 1.3 million Europeans ahead of the final vote (27 November) by EU member states on a five-year renewal of the glyphosate licence, due to expire on 15 December. 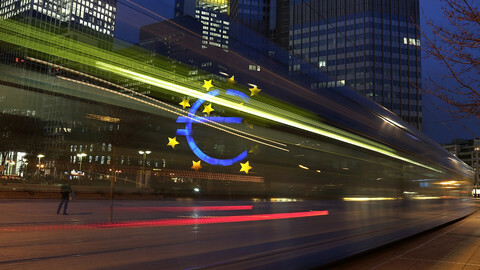 The demands were debated during a public hearing held by the European Parliament's environment committee, with the participation of the European Commission. 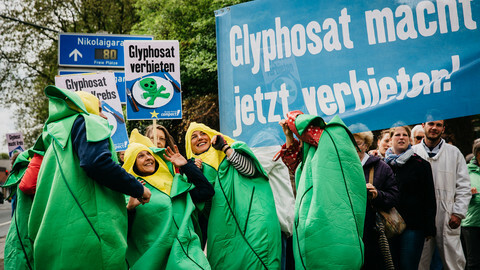 The request to ban glyphosate, citizens say in the petition, is because the herbicide is "a serious threat to human health" and "its negative impacts on the environment and biodiversity are clearly documented"
The International Agency for Research for Research on Cancer (IARC) classified the product as "probably carcinogenic" to humans, despite other studies, such as those from the European Food Safety Authority (EFSA), the European Chemicals Agency (ECHA) and other regulatory bodies, suggesting the opposite. 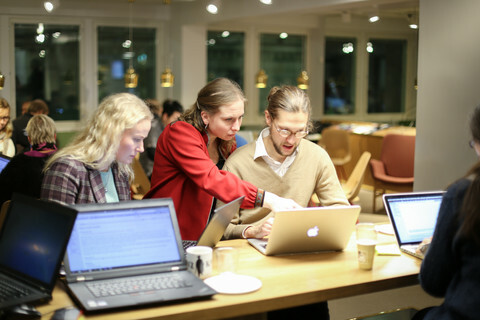 European legislation and procedures, citizens said, should be in line with the 2009 legislation on pesticides, that "prohibits the use of pesticides when there is sufficient evidence in laboratory animals" that can cause cancer. There is no scientific proof that glyphosate is carcinogenic, EU health commissioner Vytenis Andriukaitis said, and dismissed what he called "conspiracy theories" about multinationals' efforts to influence EU decisions. "There is a wide consensus" about the cancerogenity of glyphsate, Mika Leandro from the Citizen's Commitee said during the debate, which is worrying since "it is found literally everywhere", including in bread and baby food. If the majority of Europeans took a urine test, they can expect it to be positive for glyphosate, Leandro added. 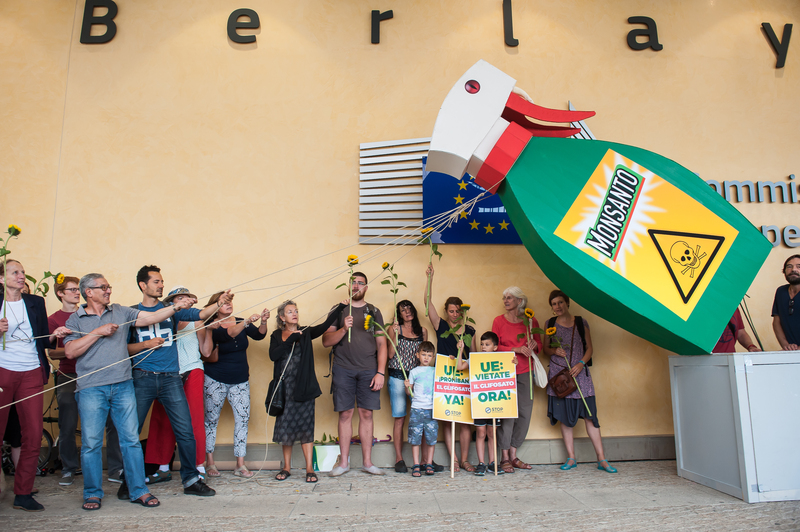 The toxicity of glyphosate and 'the domino effect' it has on the environment makes the herbicide a "killer machine", said Franziska Achterberg, Greenpeace EU food policy director, speaking at the European Parliament. However, there are no "scientific...or legal grounds" that justify the ban of glyphosate, the European Commission commented during the debate. "Glyphosate was evaluated by member states and authorities and the conclusion is always the same," the Commission added, saying a classification as carcinogenic is "not justified". Last week Andriukaitis suggested applying a "common sense approach" towards glyphosate, rather than one to "create fear". The rest of the petition by European citizens highlights the lack of transparency of EU scientific evaluation procedures for pesticides. 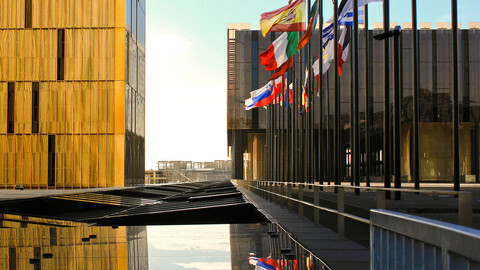 Assessments, Leandro said, should be "objective, transparent and independent", as required in EU pesticide legislation. 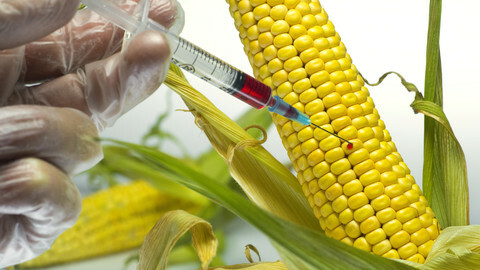 Citizens are not satisfied with the way the EU currently carries out regulatory safety evaluations, the petition states, since they "largely rely on unpublished studies" commissioned and submitted by the pesticide producers themselves, while regulatory studies to support pesticide approvals must be commissioned by public authorities. 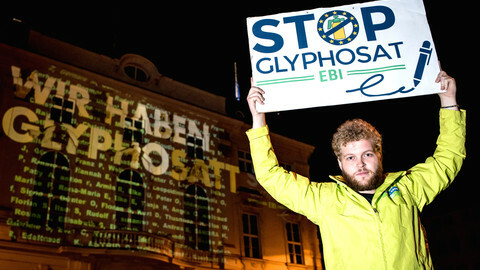 The "failure" of the EU approval system, said Helmut Burtscher from the Citizens' Committee, is demonstrated by the fact that glyphosate should not have obtained authorisation in the first place, he claimed, since in 2011 it was classified as "probably cancerogenic" but this danger and other scientific studies have been "ignored and denied" by the EU authorities. The EFSA report about carcinogenicity, added Burtscher, is basically "an exercise in copy-paste" and the majority of their studies are not available and cannot be examined by the AIRC. 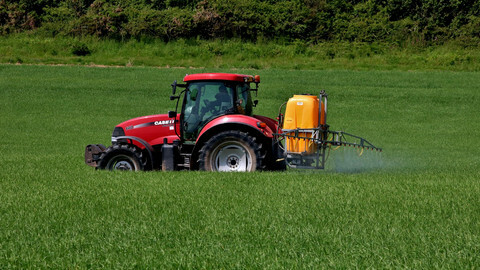 The third and final proposal of the citizens' initiative concerns an EU-wide mandatory reduction target for the use of pesticides, since more than 480 other pesticide substances are currently authorised for use in the EU, while the relevant legislation states only "that pesticides should only be used when all other methods have failed." EU pesticides legislation, the petition adds, also "mandates EU member states to establish concrete measures and objectives to reduce overall pesticide use", but states are not "sufficiently implementing the directive" and the European Commission "has yet to evaluate its effect." The ultimate aim, citizens said, is that the EU should achieve a "pesticide-free future". "We have already the strictest targets in the world" countered European People's Party's MEP Elisabetta Gardini. "What kind of agriculture are they looking for? They think about an elite agriculture, for rich people" MEP added. The European Commission agreed on the need for improving implementation of the EU legislation on pesticides, and said that it will "evaluate national plans of action" and continue its monitoring activity during 2018. "Pesticides won't ever win a beauty competition", admitted commissioner Andriukaitis but they have an important role in "guaranteeing adequate food supplies". Signatures for the initiative were collected thanks to a coalition of farmers and environment protection associations and NGOs, Citizens' Committee's representative said. The required statement of support (1 million signatures) was achieved in less than five months, which was a "record" never achieved before, Leandro said during the hearing.